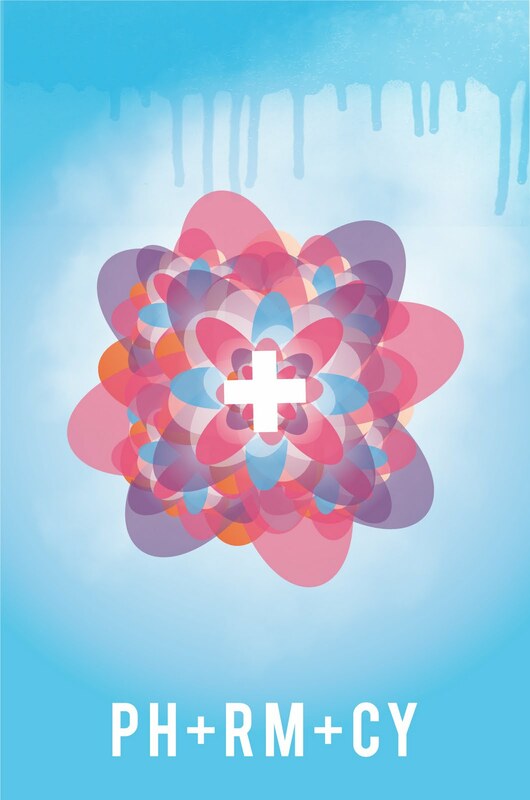 I've been in discussions about a prospective brief for a pharmaceutical flyer. 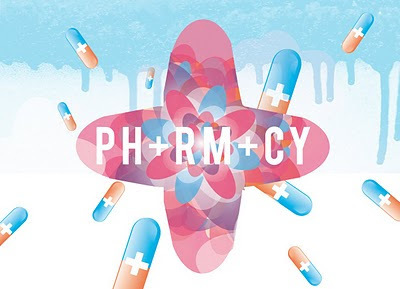 While experimenting with possible styles I decided to play around with a few elements to make up some artwork for a fictitious company I named PH+RM+CY. The idea is a fresh and modern take on the traditional pharmacies we see on the high street. I quite liked the name, as it could easily be shortened to PH+ which is itself a chemical term. Now all I need is a few scientists to make the actual products with me and we're away. Any takers?